I’m trying not to get into the holiday season too early. We still have 2 more holidays to go before we actually get to Advent and Christmas. But already people are starting to talk about Christmas gifts. And I’ll be honest, as a crafter I’m already knee deep in crochet projects for Christmas gifts. I read something recently about small businesses, especially the home businesses that many moms are part of. Maybe it’s a small Etsy or Peter’s Square business, maybe it’s home-baked cookies at the farmers’ market or locally sourced honey. Often times, the products these small businesses may cost more than similar products you might find at Walmart or Amazon. And more often than not, they can’t support the free shipping we have been conditioned to expect, or even deserve. The ability to buy whatever we want, and can have 2-day shipping to boot, has encouraged us as a society to become even more impatient than human nature already inclines us to be. Our attention spans, and capacity for waiting, continues to diminish. We can’t even wait for the holidays to arrive in their natural order of time. We are so excited for what comes next, instead of relishing what is now. Even as I type this, I am anticipating what is coming, instead of being present in what is now. I almost said “As we look forward to Advent coming, it is a great time to slow down and practice waiting.” But you know what, why wait for Advent? Because I don’t know about you, but I could do with slowing down. My head is already starting to spin with Christmas present ideas, what to make for Thanksgiving, whether to host an Advent Bible study or not, how long our homeschool break should be, etc. Actually, I think that I always could use some slowing down. So starting today, literally today, I am purposefully slowing down. Here are two things I am implementing immediately, hopefully with more to follow. I’m trying to drink more water. I’ve put a tracking system into my planner (just little water droplets to cross off, nothing fancy) to help remind me to drink more water. Because when I am hydrated, I’m less anxious, less stressed and my body is able to function as it was designed. I am saying a daily rosary. A bit ago I purchased a beautiful rosary bracelet from ChewsLife, a website run by moms in Michigan that has created beautiful rosarys for young and old. Literally, they have rosaries and rosary bracelets designed for little babies with safe, silicone beads that they can chew on and play with. It’s so cool. Their rosary bracelets for adults are lovely because they have a movable crucifix that you can use to hold your place, so that your rosary can stretch throughout your day (the only way I am able to get a rosary finished. My ChewsLife rosary. See the hook clasp on the crucifix and Miraculous Medal? It fits perfectly between any of the beads to mark where I stopped to handle [insert crisis here]. Though not part of slowing down necessarily, there is another practice that I am going to be more conscious about employing. Before jumping on Amazon to grab whatever it is I’m looking for, especially if it is a gift, I’m going to start smaller. 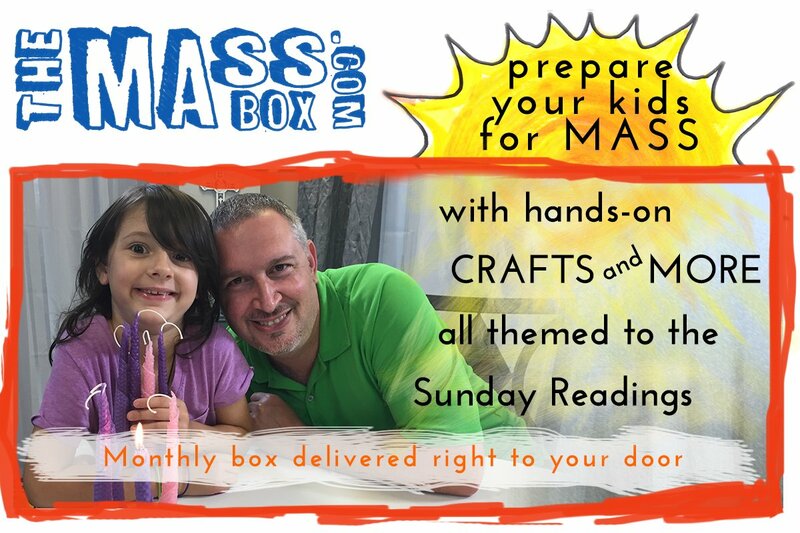 If you haven’t heard of it yet, Peter’s Square is basically Catholic Etsy. Which is so cool! Then there is Etsy itself, which hosts so many incredible Catholic products and shops. There is also your local area, where perhaps you have smaller artisans who take such time and care in crafting their product. When I find that perfect gift, I’m not going to shoot over to Amazon to find something similar but with free or quicker shipping. Instead, I’m going to be willing to wait, to pay for shipping if asked. It is a way to intentionally help support another, and to put into practice the art of waiting. Next What do Marian Consecration and Folding Laundry Have in Common?